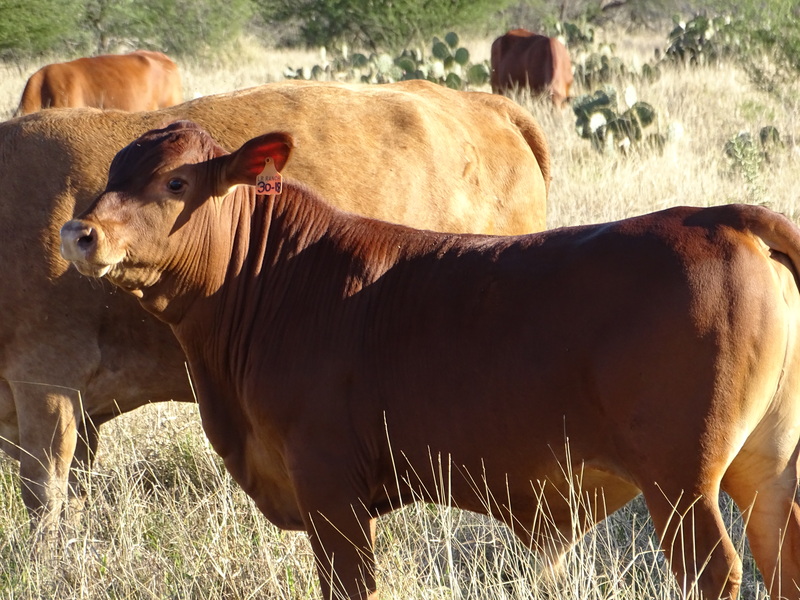 Star bull calf (31.3% Red Angus, 28.1% Senepol, 40.6% Tuli). Tropical genetics = 68.8%. A pure Star bull! He is possibly homozygous for the slick gene.